So, I have this crazy idea. 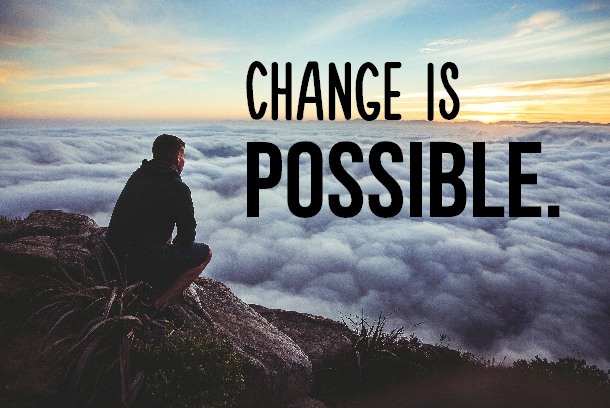 It’s the idea that change is possible. Most of you would agree with that, but I wonder how many of us would act in a way that demonstrates it. Too often I hear, “Oh, that’s just how he is…” or “You know them, they’ll never change..” and I hate those words. I’m afraid if we keep believing those things, they will become self-fulfilling prophesies that steal joy, meaning, and beauty from too many lives. The times in my life that were the most painful and where I was most wrecked were absolutely the times I pursued change. You see, I grew up mainly ignoring my problems and never considering the possibility that I would change or even needed to. Unforunately, or fortunately, (I’m not sure yet) ever since I moved out of my parents house I’ve been stuck with people that have pushed me to change. Change is hard; it’s uncomfortable. The thought of change causes us to roll our eyes and breathe deep, bracing ourselves. But I’m starting to think we’re going about it all wrong. 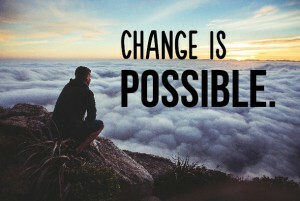 What if we stopped thinking about it as change, but rather refinement? What if we began to think “I’m not changing who I am; I’m becoming more who I was meant to be.” In reality that’s what it is. It’s not a change in who you are; it’s chipping away at everything you weren’t meant to carry to uncover the person you were made to be. It’s like the statue of David by Michelangelo in Italy. Revered as one of the most beautiful sculptures in the world, it started as just a big block of marble. There was chipping, sculpting, and smoothing. The good news for us is that our sculptor has previous experience. He’s sculpted the Himalayan mountain range, chiseled the grand canyon, and painted the northern lights. You can trust him. When we focus on who we were meant to be, and all the potential we hold, the idea of being chiseled doesn’t hurt as much. One essential aspect of creating a masterpiece, is having all of the materials. 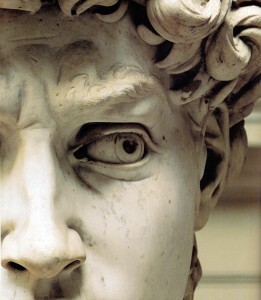 Michelangelo couldn’t have sculpted David if there was no marble to work with. We are the marble, and we need to let ourselves be uncovered by the sculptor. Let the parts of us that aren’t who we were meant to be fall to the ground, so that only the beauty of who we truly are will remain. We have to choose to allow ourselves to be chiseled. Watch this incredible video on what it looks like to be chiseled by a loving, good sculptor. Will you choose to be transformed? It will hurt, but not as much as staying a solid block of marble the rest of our lives. Previous Previous post: Why Mother’s Day Matters.